For kids, buying Christmas presents for their friends and family is more important than you may realize. No matter their age, it gives them a sense of independence and maturity that they will continue to build on as they grow. 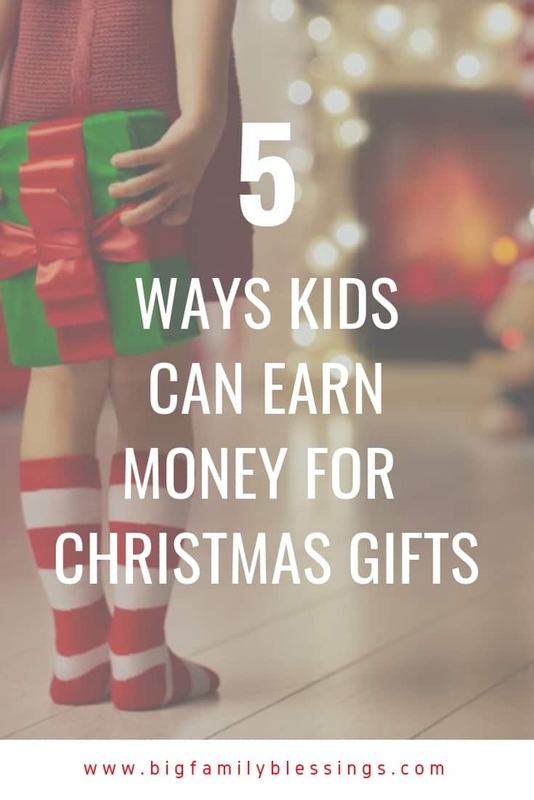 If you start them as early as possible, usually around age 5, they will learn not only about money, but also how to save money for things that are important to them; such as gifting the people they love. 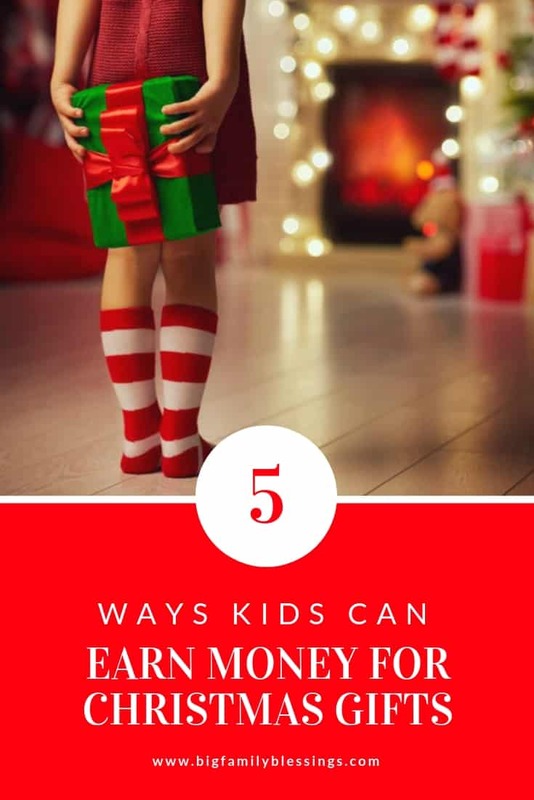 These ways kids can earn money for Christmas are all easy enough that even smaller children can do them. Adjust them to fit your family and you’re sure to have happy kids when their gifts to others are opened! Cleaning House – Cleaning is part of most kids’ chore list anyhow, but if you have any out of the ordinary chores that they wouldn’t normally do, pay your kids to do them. This is a quick and easy way for your kids to earn Christmas money. Fold Laundry – Littles can earn Christmas money by helping change laundry from washer to dryer and helping fold laundry. Younger kids can be hard to give chores for money to since they’re younger, but this one is perfect! Walking pets – For tweens or teens, dog walking can be a great way to earn money. They can do this for your own family, friends or even neighbors. If they’re not old enough to walk by themselves, it is a bonus for you. You can walk with them and get your daily exercise in at the same time. Lawn care – School age kids, tweens and teens can earn money by doing things such as mowing the lawn, raking leaves or shoveling snow. Make sure to pay them an appropriate wage for the work they’re doing. Clean out and wash the car – Another easy one is to pay them to clean out and wash the car if the weather permits. This is one that a lot of adults hate doing themselves, but your kids will jump at the chance to get paid to do it for you! Help your kids set aside money from their earning for buying loved ones Christmas presents. You could make a special jar, envelope, or piggy bank specifically for Christmas gift savings.